This year, the participants are Bradley Beaulieu, Jason Hough, Micheal Sullivan. Check out their sales! The hardcover for the latest Powder Mage novella is now available! You can pick it up direct from my website store. It will, of course, come signed and dated. If you're just looking for the ebook, all the usual links are here. Hey friends! Just dropping in to let you know that The Mad Lancers is now available in audio format. It comes in at 3.5 hours and is narrated by Julie Hoverson. Click below to pick it up! 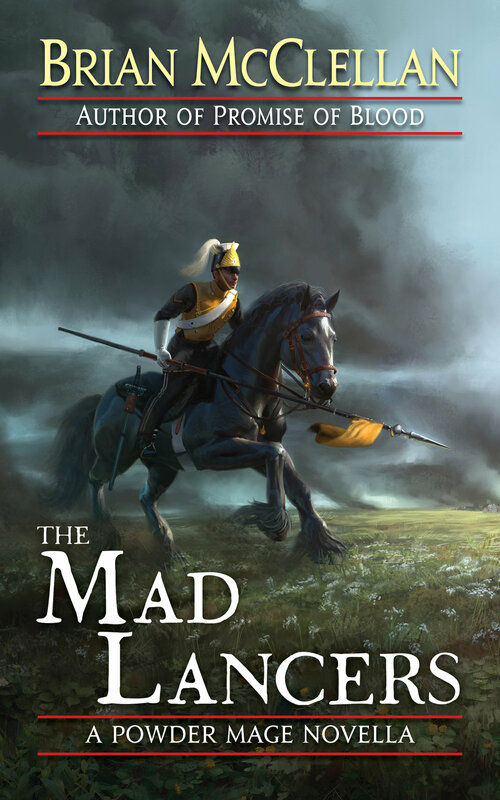 You can also pre-order the Mad Lancers hardcover, which will ship on November 21st. I've been getting a lot of questions about book two lately, and I can finally give you all a bit more of an official answer! 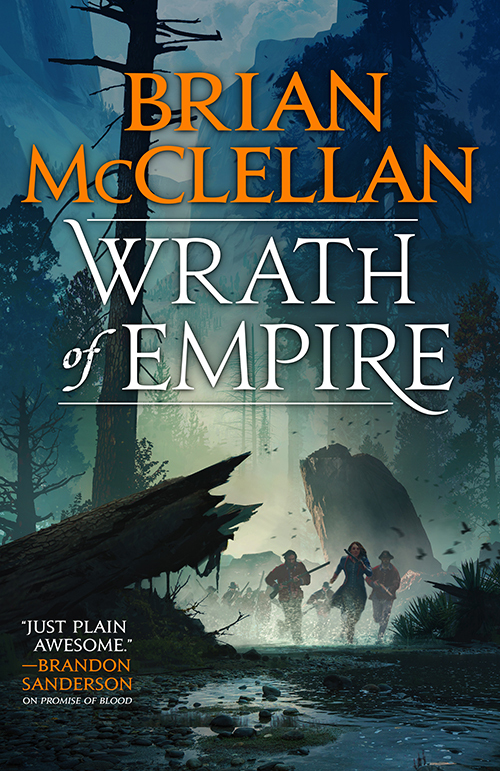 I'm pleased to announce that Wrath of Empire will be in stores on March 6th, 2018. Here is the cover copy, pre-order links, and finally the damned awesome cover! Back in the capital, Michel Bravis smuggles even more refugees out of the city. But internal forces are working against him. With enemies on all sides, Michael may be forced to find help with the very occupiers he's trying to undermine. Meanwhile, Ben Styke is building his own army. He and his mad lancers are gathering every able body they can find and searching for an ancient artifact that may have the power to turn the tides of war in their favor. But what they find may not be what they're looking for. Hey guys! Lost track of time again, so here's the winners for the newsletter drawing for the last two months. I just doubled up, so there are two winners of a signed hardcover of Sins of Empire. The winners have been notified, and you can keep an eye out for the next drawing in October. To enter, all you have to do is sign up for my newsletter here! THE MAD LANCERS is now out! 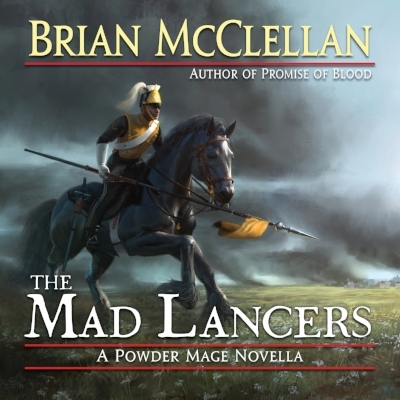 The Mad Lancers, the latest addition to the Powder Mage Universe, is now out in ebook! Head on over to your favorite ebook vendor and give it a look! Pre-orders are also open for the hardcover version, which will ship November 7th, 2017. Looking forward to the new Powder Mage novella based around a young Ben Styke? It'll be out for general release on September 6th... OR you can pick it up right now by buying direct from my website! Your download will come with an epub, mobi, and PDF file of the new novella. A difference of $.54-$.82 doesn't sound like much, but it adds up to a lot of Chipotle over a few thousand sales! After a long wait, the next Powder Mage novella is almost here! The Mad Lancers is the story of a young colonial lancer named Ben Styke. It will be released September 6th, 2017. You can pre-order now! In the colonial cities and towns of Fatrasta, peace has never been easy. Immigrants fight amongst themselves or turn on the native population, while the governing power of the Kez Army steps in only to enforce the will of apathetic local governors assigned by a distant crown. 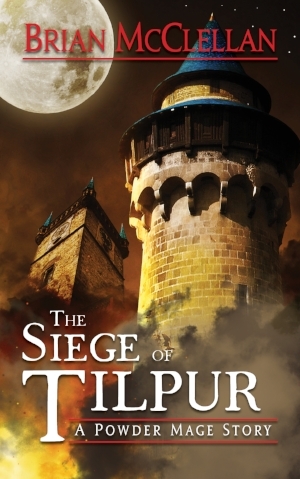 Young war hero Ben Styke commands a colonial garrison in a sleepy frontier suburb. When the governor’s cruel brother stops for the night, rising continental tensions force Styke to protect the people of his town in a brutal escalation that threatens to destroy everything—and everyone—he has fought for. Occurs twelve years before the events in Sins of Empire. Hey all! This is last call on the Powder Mage RPG. If you'd like to pre-order the book (or add extras to your current order), you need to do so by by this Thursday, August 10th, at 2PM EST, at which time the orders will be locked in to Backerkit. Here is the link to put in orders. Thanks! Hey friends! Later this month, I'm giving away a signed hardcover of Sins of Empire to a lucky winner! To enter, all you have to do is sign up for my newsletter using this link by Wednesday, August 23rd and then keep an eye on your inbox or check back here to see who was announced as the winner. It's been a long time since a newsletter drawing, so let's get back at it, shall we? Later next week, I'm going to give away one of these silver Riflejack pins from Badali Jewelry to a lucky winner! To enter, all you have to do is sign up for my newsletter using this link by Wednesday, July 19th and then keep an eye on your inbox or check back here to see who was announced as the winner.